Israel's army has condemned t-shirts made by soldiers that depict violence against Palestinians, the Associated Press reports. 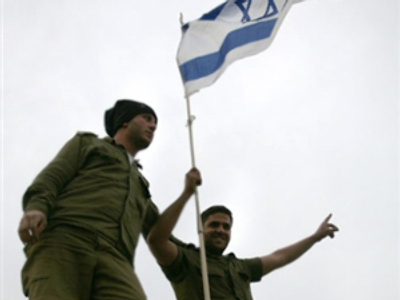 The army has condemned troops who ordered t-shirts to celebrate the end of basic training and other military courses, and were worn by men from different units, reported the daily Haaretz newspaper. The Israeli military did not make or sanction the anti-Palestinian t-shirts. Others depicted a mosque being blown up by a soldier and Palestinian women weeping over a gravestone. 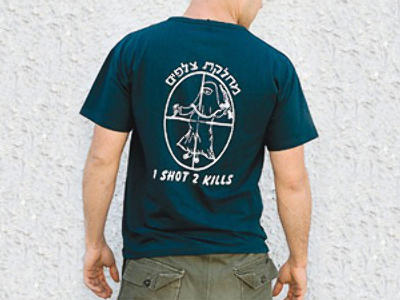 The army released a statement calling the shirts tasteless and against the values of the IDF. “This type of humor is unbecoming and should be condemned,” read the statement which said disciplinary action would be taken against the troops who wore the garments. The Tel Aviv factory that made the shirts refused to comment. 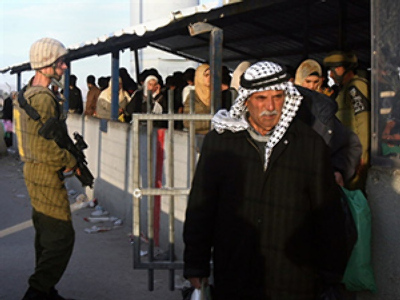 This latest debacle has further increased criticism of the Israeli military, which is already dealing with testimony from its own soldiers describing the negligent shooting of civilians and destruction of civilian property during the Gaza war. The three-week offensive in Gaza resulted in the deaths of around 1,400 Palestinians, most of which were civilians, and 13 Israeli deaths.